Chinatown Singapore is a great place to visit. And no visit to Singapore would be complete without a visit to the Chinatown area. 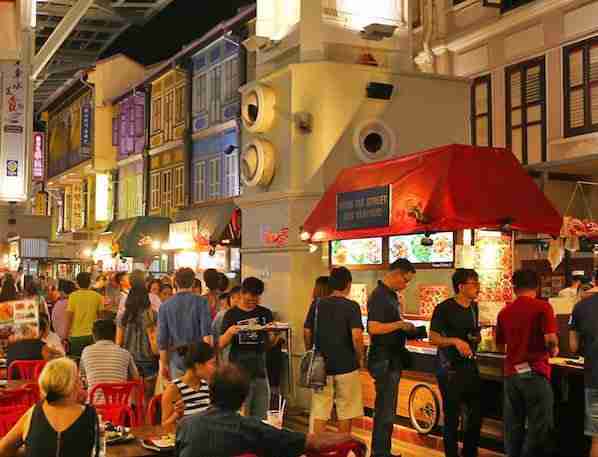 Singapore’s Chinatown is filled with loads of restaurants, bars, shopping centres, markets selling a wide range of stuff from fruit to touristy souvenirs as well as visiting museums and religious temples. It may not be the largest Chinatown but it’s arguably one of the cleanest. 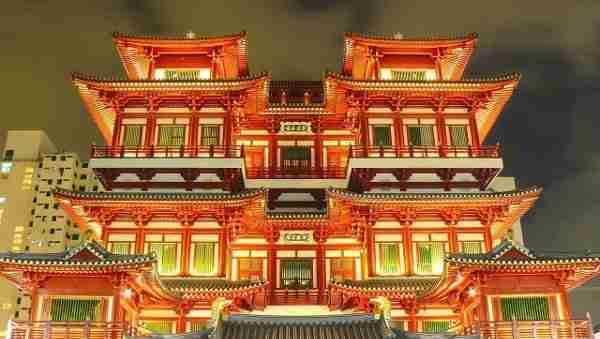 Here is a few things to do in Chinatown Singapore. Chinatown offers both expensive and cheap options, its worth looking around to see what you fancy. This is definitely one of the more popular things to do in Chinatown Singapore. Thian Hock Keng (literally “Palace of Heavenly Happiness”) also known as the Tianfu Temple, is a temple built for the worship of Mazu (“Ma Cho Po”), a Chinese sea goddess. The Thian Hock Keng temple has an overwhelming sense of peace. 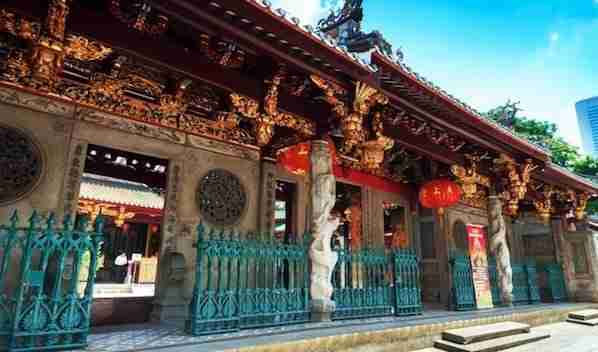 The Thian Hock Keng temple is surrounded by buildings, mostly modern. The perfect contrast to this wonderful piece of Asian architecture. But unlike other temples in the city Thian Hock Keng feels deserted, with only a few people present to enjoy the place. It is a photographers dream, full of colour. Step back in time at Chinatown Heritage Centre and retrace the footsteps of some of Singapore’s early pioneers. In this center you will be able to experience the culture and history of the Chinese people. The Heritage Centre has recreated the original interiors of the homes of Chinatown’s early residents who lived in the 1950’s. Sets of bedrooms, kitchens and street scenes can be seen in eight by eight living quarters where every object tells a story. Chinatown Singapore has a fair selection of hostels and hotels. 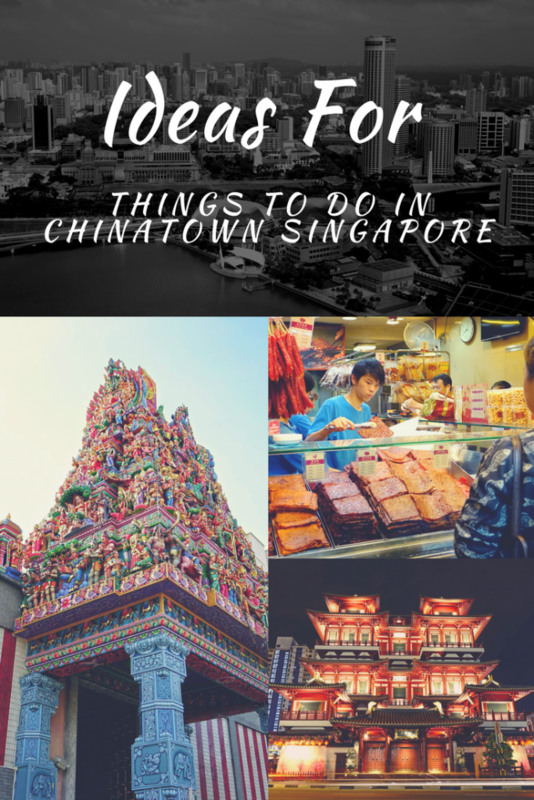 Here are a few places to check out and give you an idea of what is available in Chinatown if you are planning to visit Chinatown Singapore. 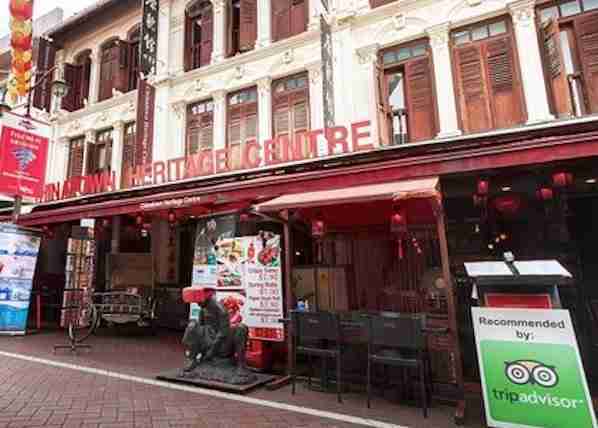 Hotel 81 Chinatown enjoys a central location in Chinatown, a 5-minute walk from the MRT Station. The affordable accommodation is housed in a conserved building, exuding an old-world charm. WiFi is free throughout the hotel. Guest rooms are fitted with cable TV and tea/coffee-making facilities. Each room has a private bathroom with hot shower. The Bohemian Chic features a games room and a shared lounge for guests to enjoy on a laid-back evening. The rooms come with a shared bathroom. Toothpaste, toothbrush and toiletries are provided. The hostel features free WiFi throughout the property. Located within the vibrant Chinatown district, Galaxy Pods @ Chinatown offers accommodations with futuristic-style space beds in Singapore. Self-contained pods have air conditioning that is individually-controlled by a touch-screen control panel. Pods are equipped with a personal flat-screen TV, locker and USB charging ports. Bathroom facilities are shared and include free toiletries. Finally, Chinatown is definitely a must visit place in Singapore. With so much things to do in Chinatown, you can be assured that you will have a great time. 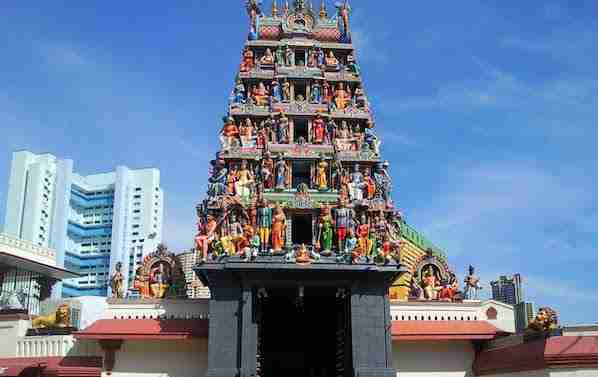 Once you visit Chinatown, you will have plenty of options to visit, explore, discover and with many more things to do in Chinatown Singapore. All you have to do is to choose the activities you prefer and start enjoying what Chinatown has to offer. And that’s it for now! 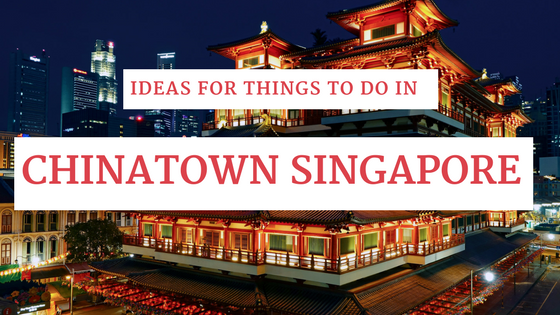 I’d love to know if this guide on the things to do in Chinatown Singapore has helped you. Let me know if you have any questions and let me know if you go.